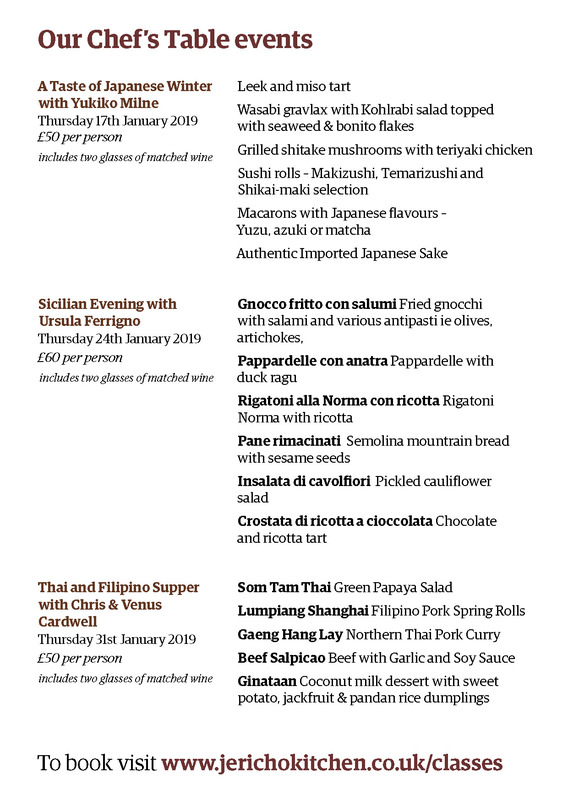 The Jericho Kitchen Cookery School is pleased to announce that they are joining forces with Branca Restaurant in Walton Street, Oxford to bring you a series of Chef's Table Events (including Korean and Japanese) not cookery lessons - just a relaxing evening with our chefs bringing you their specific cuisine and we include several glasses of wine to accompany the meal. The accompanying flyer gives you all the information regarding the events! 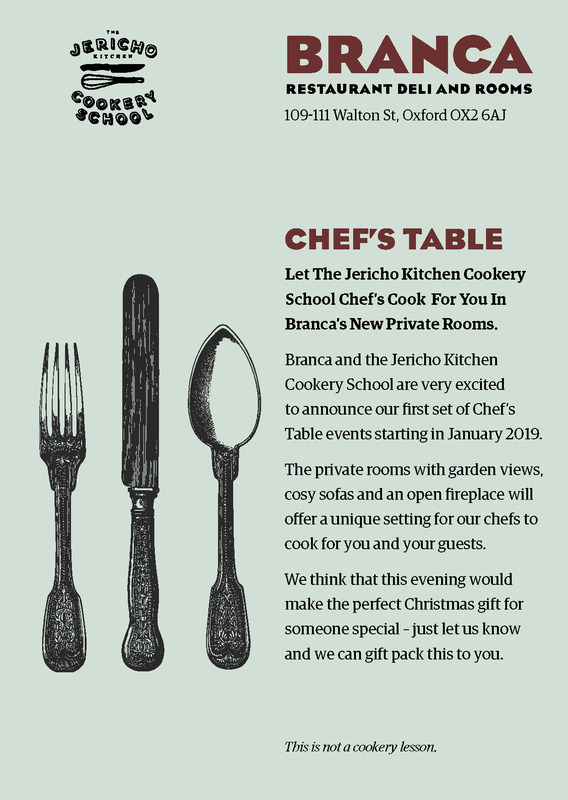 Any questions please email us on hello@jerichokitchen.co.uk. You can see more of what we get up to on Facebook, Instagram and Twitter.